We take a look at the transition Larian Studios' role-playing masterpiece has made to Xbox One and PlayStation 4. Tomorrow, Divinity: Original Sin 2 will come to the Xbox One and PlayStation 4 with the all-new Definitive Edition release. 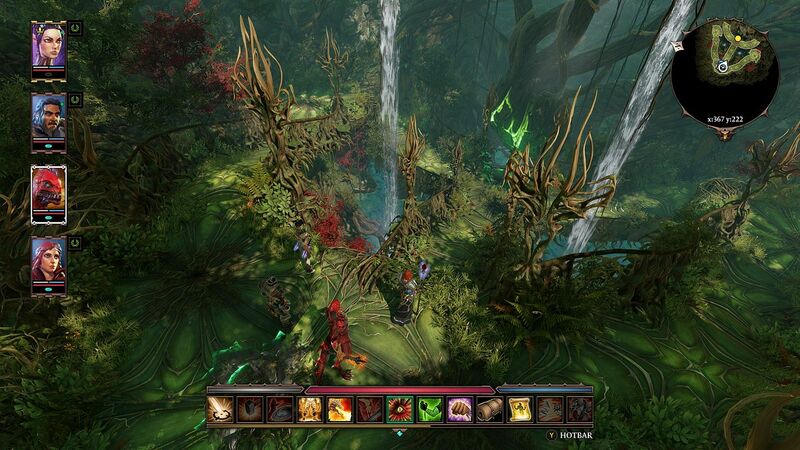 Larian Studios has gone back and optimized the game's graphics, improved the interface for controller play, added a new difficulty mode, and even tightened up the story content in the final act of the game. It's not a full remaster, but Larian is making sure the game ships to console players in the best state possible. So should you pick up Divinity: Original Sin 2 - Definitive Edition? Hell yes, it was one of the best computer role-playing games released last year and if you haven't played it, you need to. It's been great setting you folks straight. I'll see you at PAX West this weekend. *Editor-in-Chief shakes head* Oh, I have to keep going? Fine. If you've played Divinity: Original Sin 2 on PC, you're in luck: the Definitive Edition tweaks are all coming to the PC in a free update. If you played the first game on consoles, guess what? Original Sin 2 is a much better game than the original. If you've never played either, you're in for a treat. Larian Studios has made a host of changes to the Definitive Edition, but let's just cover the ones that matter to new players. First up, the studio sanded off some of the rougher edges of the PC release. There's a new difficulty mode below Explorer Mode, which was previously the easiest mode in the game. Story Mode drastically scales back on the combat encounters; the base game offered a great deal of choice in terms how you approach combat encounters, but this also means there are a thousand ways to fail. Story Mode makes the fights easier overall, so you can focus on Larian's writing. Fleeing in Story Mode is now free instead of being a skill check and Resurrection no longer requires a scroll. If you want to engage more with the excellent story and dialog in Original Sin 2, Story Mode is the option for you. You can switch difficulty at any point in the game. Larian also smoothed out the game's pacing a bit in terms of difficulty. There's a new tutorial at the beginning of the game, adding a new deck on the starting ship so players have more time to learn the game's mechanics before being pushed out into Fort Joy. According to the developer, experience and gold gain has been boosted to prevent a vicious ramp in difficulty leading into the third act of the story campaign. Next up is controller support. 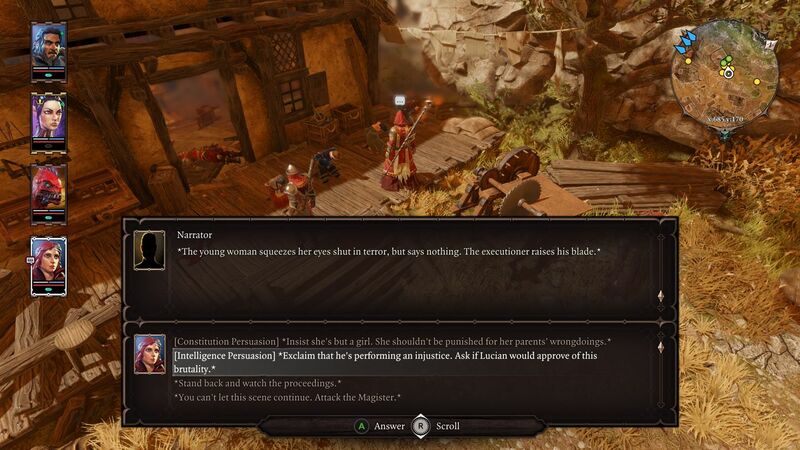 This was actually already present in the base version of Divinity: Original Sin 2, with Larian learning a great deal from the release of Divinity: Original Sin - Enhanced Edition on consoles. The studio added things like a visual indicator and list of interactable objects. On PC, you're using a mouse, so you can click directly on objects to select them. With a controller, that's more difficult, so Larian found an elegant solution. By holding down A on the Xbox One controller your character will search for interactable objects in your vicinity and then create a list of those objects. Then you're able to scroll through that list and choose various interactions. It's a wonderful feature and can actually help you find objects that you otherwise would've missed in the world. There are also a few quality-of-life changess. Holding the Right Trigger brings up a radial menu for things like the Character Pane, Inventory, and Journal, like the original release. 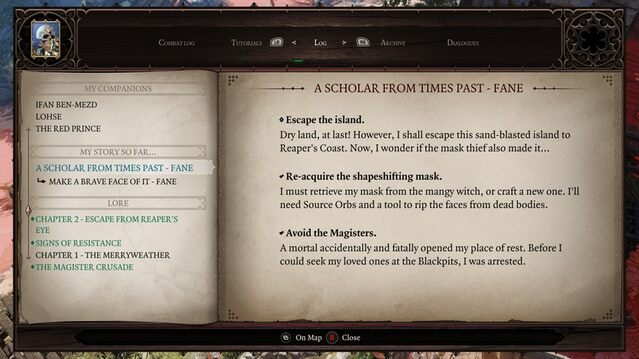 Selecting the Journal, Inventory, Map, or Skill Window now takes you to full-screen interfaces though, with larger text. It's basically presenting existing information in a better way for those playing the game on televisions. One thing that isn't elegant in terms of controller support is the game's hotbar. To access the Hotbar, you press Y on the Xbox One controller and then use the directional pad or analog stick to select a spell or skill. This never becomes as intuitive or easy as simply hitting a skill with the number keys on the PC. Some other PC-to-console ports have solved this with a smaller hotbar, binding attacks directly to buttons and then switching through pages of skills with a different button presses. Larian's solution doesn't bring down the whole experience, but it makes for a slower game. Another rough spot in the console release is the pop-in. Divinity: Original Sin 2 is a beautiful game on PCs and Larian has brought that visual experience over to consoles intact. Unfortunately, this means the occasional issue with the game's framerate, but more importantly, Original Sin 2 - Definitive Edition has significant object and texture pop-in. Once those objects are loaded in, things are great, but it's consistent and noticeable problem in some areas. One area feels better in Definitive Edition is the cooperative play, but this is down to where the game is played rather than something Larian did. 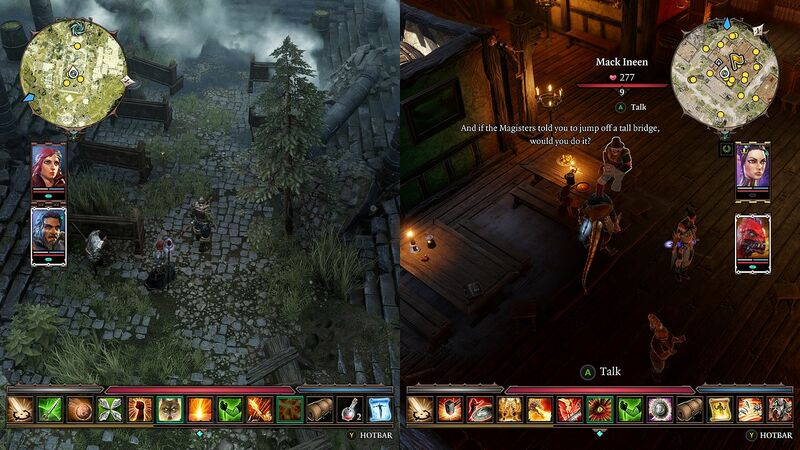 Local coop was available in the base version of Divinity: Original Sin 2 on PC; you could always play with two players splitscreen on the same PC and up to four players via online play. What changes for the console version is that local coop can be played in a more comfortable environment. My desktop PC is on my desk, which is meant for me alone. It's generally not comfortable to try to bring another person into that space, so I tend to play PC games alone. In contrast, my Xbox One is hooked up to my television, which sits right in front of my couch. On consoles it's much easier for me to grab two controllers and a friend for cooperative play. There were the occasional glitches in splitscreen play for couch co-op though, like issues with textures that would persist until the splitscreen went away. One feature that doesn't seem to have made the transition over to the console release is the Game Master option, which allowed one player to act as a Dungeons and Dragons-style GM to other online players. Game Master mode let players create their own campaigns, but console players are going to miss out on all that user-created content. This is something most console players are used to losing, but it's a shame Larian couldn't find a way to bring the mode over. Despite some issues here and there, many of which feel like they'll be polished away with time and further optimization, this is Divinity: Original Sin 2. You get an excellent CRPG that feels like the pen-and-paper RPGs of old, excellent characters, 100 hours of interesting combat and story situations, full cooperative play, and even a revamped PVP Arena mode. I'd go with the PC version if you can, but console version is a solid port of an amazing game and well worth your time. Tagged with Analyses,	Bandai Namco Entertainment,	Divinity Original Sin II,	Larian Studios,	PC,	PlayStation 4,	Role Playing Games,	Xbox One.